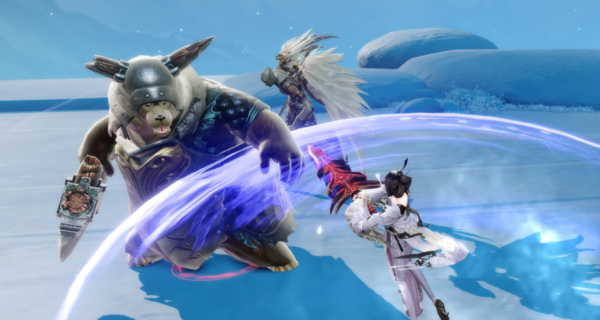 Last week Revelation Online had received its second major update for the NA servers, named the Iceborn update. This update added many new features and events to the game as well as fixing several issues and bringing in the Guild Tournement event for everyone to enjoy for great rewards. The Iceborn update is mostly about the Faction War between the Ursid and the Wingar races who are both fighting to claim the Snowpine Peak region. The update is named after the major event it brings to the game, the Snowpine Peak Faction War. This is a major PvP event that takes place once a week on Thursdays and lasts 2 hours. Being a PvP event, it offers great rewards for your guild and your own faction reputation. To begin the event, you must first choose which side you want to represent in the faction war. The good thing about this event is the fact that it forces the teams to be the same amount of people. This means that the large overpowered server overlords can not rig the battle in their favor as they are also split between the two sides. It has proven to make the event slightly more balanced than the other PvP event, Starshatter Island. Once you enter the event, you are greeted by a rather familiar sight, that being Snowpine Peaks. This is the same region from the storyline quest chain around level 50. Similar to Starshatter, you gain points over the course of 2 hours. However, instead of points being based off of your guild’s contribution, it is based off of the entire faction you are representing (Wingar or Ursid). What to do in Snowpine Peaks? Much like Starshatter Island, there is a variety of ways to earn points. Most notably, killing players and gathering resources. However, this event also contains monsters, elite monsters and bosses that will also grant points when they are killed. So even if you’re not big on PvP, there’s a way you can help your faction by killing enemy monsters. Anyone above level 40 can enter the event and battle it out with other players or the NPC enemies and show their faction that they are in it to win it! So what do you do? Well, it’s a simple matter of getting more points than the other side by any of the above ways. After one team reaches a certain amount of points, they are victorious and are rewarded with a variety of PvP related goods like Army Coins and rep as well as Imperial Notes and other useful items to help get themselves geared up. The battle style is quite similar to the every other day PvP battlegrounds, but on the scale of Starshatter Island which provides a challenge but keeps it fun at the same time. Is it worth joining the event? Absolutely! If you enjoy PvP, you don’t wanna miss this one. Even if you don’t like PvP, the battleground is large enough where you can mostly focus on the PvE elements of the event without too much of a problem dealing with other players. Once the event ends, the winning side gets a good amount of rewards while the losing side (much like the everyday battlegrounds) will also get rewards but not as much. The event is worth joining for the reputation alone as it is one of the only ways to gain rep with the Wingar and Ursid factions. So, if you wanna bedressed in that bear outfit, or the Wingar helmet, this event will help you get there quicker! What Else is in Iceborn? Guild Tournaments were also added in this update. This is a GvG event where your entire guild can battle it out against other guilds each season to try claiming the Guild Championship and prove your dominance over the server! The top 3 guilds in this event get a large amount of rewards for their guild base and funds to distribute to their members. A guild tournament is basically a glorified Guild vs Guild battleground. The main problem with this event is that the largest guilds will always be victorious making it almost pointless to try it as a smaller guild. But, if you like a challenge, you still get a participation reward for just signing up and attending the battle even if you lose. Another little event that was added is the Inner Demon event. This event takes place on Sundays and portals spawn all over the world. 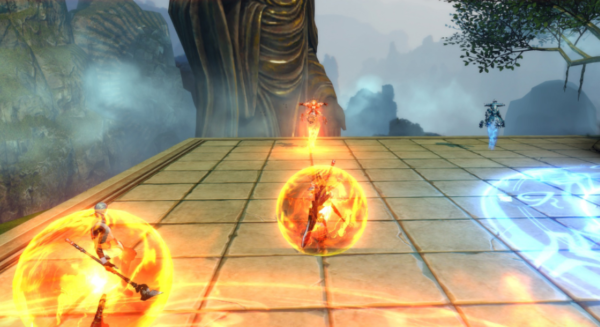 Players can enter the portals and face off in a gauntlet against monsters. There are 6 major Inner Demons: Abstinence, Calm, Intelligence, Greed, Rage, and Idiocy. Each of these have their own portals and instances where players will fight against them. Defeating them will grant you rewards in the form of special tokens that can then be traded at the Immortal Annex for Special Gift Boxes, or donated to grant server wide rewards. There was also several bug and localization fixes that have proven to help lighten the lag on the server and get rid of some of the bots that have been plaguing the entire game. The cash shop was updated as well offering two fancy new outfits for both male and female players. On the 14th of June, the servers will also be merged cutting the total number of servers in half and massively expanding the population on the servers they are merged into. Overall, Iceborn offers a lot of PvP improvements and many more challenges for the game’s players. Whether you go it alone or play as part of a larger team, you’ll enjoy the battle and other features of this update if you’ve enjoyed the past events. Does this make it worth returning to the game for the players that left? Probably not, as these events are once a week and offer very little PvE and long term enjoyment. It does however give a chance at balanced PvP, which is something the game definitely needed.